Compare all models of Toyota Prado 2017 Price in Pakistan; explore 2017 Toyota Prado SUV specs, images (exterior & interior), videos, consumer and expert reviews. 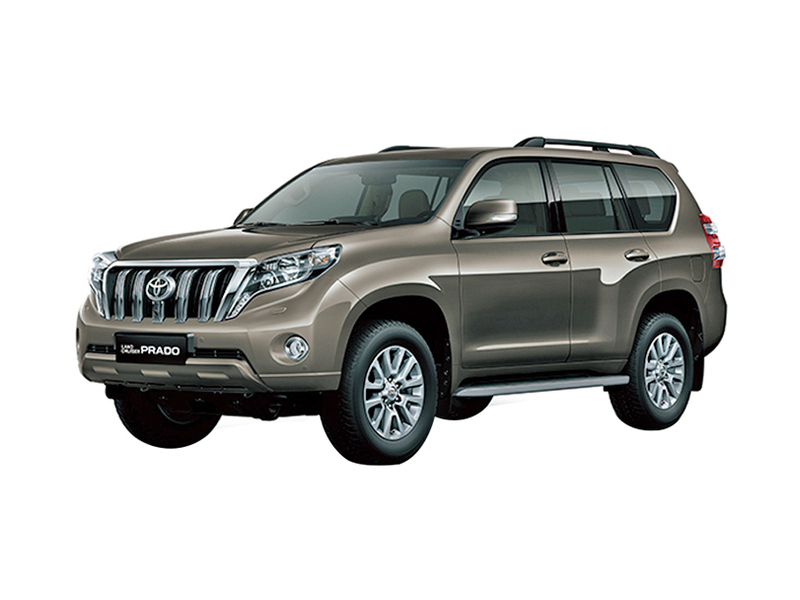 Toyota Prado 2017 features include transmission type (automatic/ manual), engine cc type, horsepower, fuel economy (mileage), body type, steering wheels & more. The most economical price Toyota Prado 2017 model is the Prado TX at PKR 13,949,000 and the most expensive model is the Prado TZ at PKR 19,399,000. Currently (3) Toyota Prado 2017 model variations are (Toyota Prado 2017 TX, Toyota Prado 2017 TX 3.0D, Toyota Prado 2017 TZ) available in all cities (Karachi, Lahore, Islamabad, Quetta, and Peshawar etc.). the shape of this Toyota Prado TZ - 2017 is just awesome, no doubt this Prado has the impressive exterior and style, ideal suv for Pakistani roads as we have to travel on and off road anytime due to the low condition of roads.